Here comes summer! School is getting out soon and it’s time to figure out how you’re going to keep the kids busy. Crafts are a great place to start. They encourage kids to be creative. Recycled crafts are even better, as they teach your family how to reused things that might have been trash otherwise. Feed that crafting habit without buying a ton of new supplies. Here are some books that can help you get started. This one has ideas suitable for a wide range of ages, not just young children. 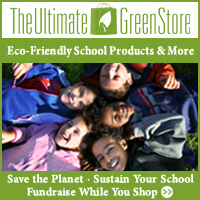 It has over 100 ideas for you to try that encourage sustainable living. If you’ve seen those bags made out of old potato chip bags, for example, this book will help you make your own. This book is recommended for grades 8 and up, but crafty kids at younger ages may enjoy it too. The book has a bit of a quirky style, and you’ll learn to make things such as pin-prick cards, pop bottle pendants and more. While not everything in this book is recycled, most of the ideas here will be things you have around the home anyhow. Not like you can recycle the ingredients for salt dough anyhow. Other crafts encourage the use of found materials such as shells, pine cones and tree bark. This book is definitely more for the elementary school set, not so much for older kids. What’s great about this book is that not only does it give you great ideas for recycled crafts, it separates the ideas by the materials and gets into how they’re made and how they’re recycled. We all have orphaned socks and socks that just don’t fit the kids anymore. Why not have a little fun with them and make toys from those old socks you don’t need anymore? Socks Appeal has projects suitable for kids and adults who are new to sewing, as well as those with more experience.